Panthera Resources plc (AIM: PAT), the gold exploration and development company with assets in India and West Africa, today announced it has negotiated an opportunity to acquire the Labola gold project in Burkina Faso, West Africa. Following this four month due diligence period exploration, resource definition and development will proceed for a period of up to 5 years assuming results justify the programmes and Panthera makes the necessary US$50k annual payments to the vendors. Panthera has an option to purchase 100% of the vendor’s interest at any time within the 5 year with the payment of US$1.0m to the vendor, at which time the annual payments will cease. An additional payment of US$1.0m will be paid to the vendor upon the successful definition of a JORC compliant resource of at least 1,000,000 ounces of gold. The vendor will retain a 1% net smelter royalty on all gold produced up to a total aggregate payment of US$2.0m. Both groups undertook preliminary resource estimations to JORC and/or NI43-101 guidelines, but as only summary data has seen sighted to date, these estimates are considered to be exploration targets only at this stage. 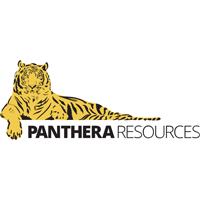 The total estimate is over 600,000 ounces at a grade of around 1.2g/t Au but a preliminary review by Panthera’s geologists suggest that a lower tonnage, higher grade resource a likely outcome of further work. Following due diligence Panthera anticipates undertaking infill and confirmation drilling followed by revised resource calculations. Thus potential to significantly increase the overall resource base is considered to be good by Panthera’s geologists, in particular higher grade shoots at depth and structural targets where the two veins merge and become more of a stockwork or Reidel-array style shear zone.